Happy Friday, brave hearts! Can you believe it is October already? If you've been reading along this week, you know I'm a little obsessed with autumn and the month of October. Everything becomes so colorful this time of year, the weather is perfect, and the world is cozy. 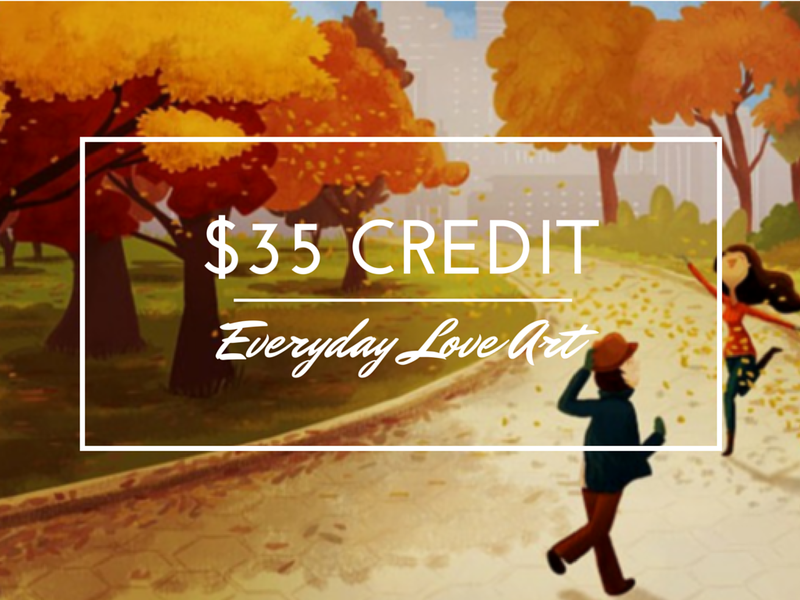 This month I am co-hosting with Cassie of Kent Heartstrings to bring you a $35 credit to Everyday Love Art. Another friend introduced me to this shop a couple of months ago and I fell in love with their beautiful and vibrant artwork. I even bought this card to send as part of my Etsy Swap gift! It is so adorable and reminds me of autumns when I was a kid. Every piece of art is so full of life. 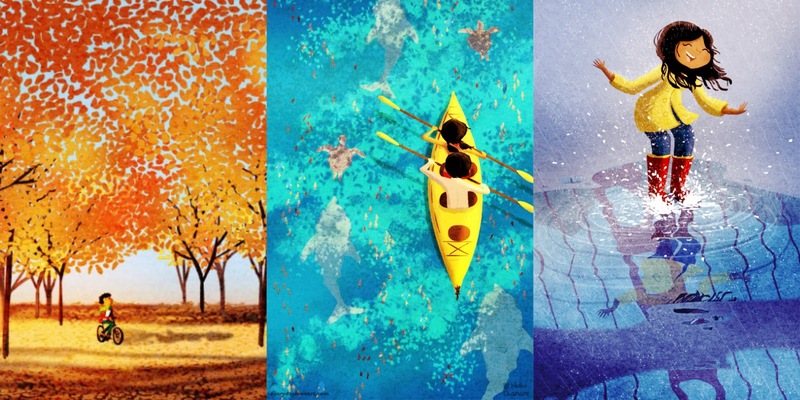 I want to cover my walls with these prints! You can too! 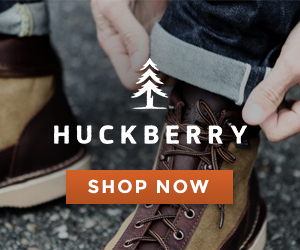 Everyday Love Art is giving you sweet readers 15% off their products for the next week. 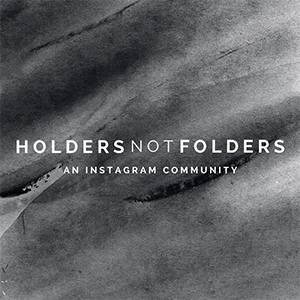 Use code: riversandroads to get your very own everyday art. love. love. love this giveaway! These are just so precious! So happy, and so perfect for fall! Oh my gosh, these are so cute. I especially loved the cable car print! love this seattle rain canvas! I like the wild love print, so sweet. Seriously too many to choose from. A little love, Autumn breeze, Shelter...I could go on and on. All the things! I really loved the City Lights print! so cute! Ohhh cable car is the cutest! Love the dandelion daydream print! OH!!!!! I LOVE all the cards! EEEP! You're hosting a giveaway for Everyday Love? So excited! I think you know how much I adore this shop. :) I just visited Nidhi's shop again and discovered the Redwood print. LOVE IT!